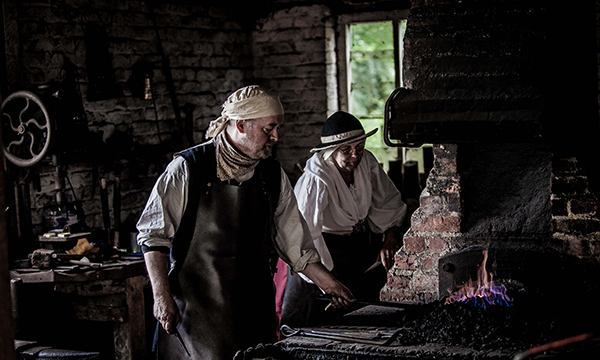 Working as a traditional blacksmith in our working Victorian forge, where you will make and take home your very own hand-forged object. Make your own silver jewellery or gift in this fantastic workshop. Historic baking day, creating delicious treats using the fire and original bread oven in beautiful eighteenth-century Leagrave Cottage. New for 2019! An introductory one-day course on Mindfulness, which takes place throughout our beautiful museum grounds. New for 2019! An introductory one-day course on English folk song, for beginners and experienced singers alike. All welcome! Working with straw: an introduction to the ancient art of making corn dollies and traditional decorative items. A watercolour workshop for beginners. A great introduction to willow sculpture and weaving. No experience necessary. A bushcraft experience for up to 8 people. 2019 dates to be confirmed shortly.